Valentine’s Day is always worth celebrating. 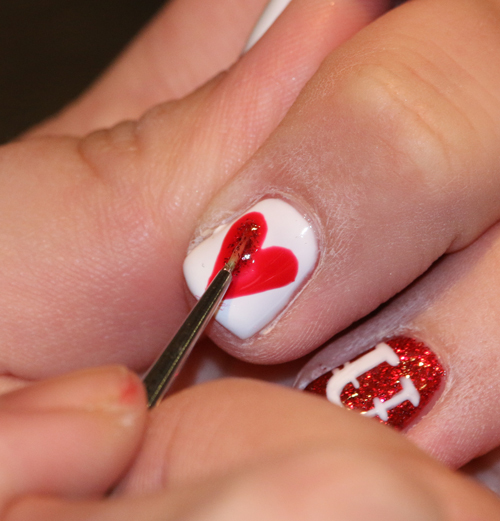 Whether it’s with your ladies or someone special, a fresh and fun manicure is always a great way to show some love. 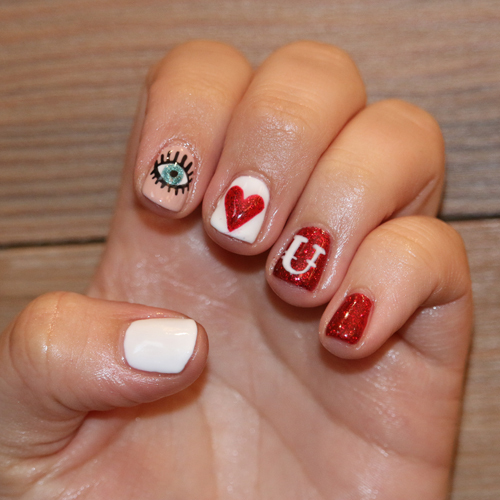 Neroli Nail Designer, Lisa shared a unique way to celebrate the love holiday. Drying time: At least 30 min to be safe. 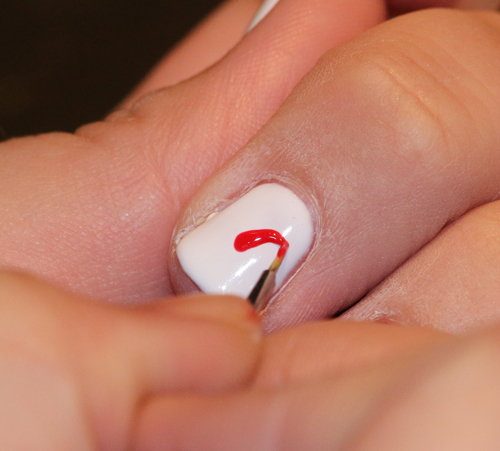 Step 1: File nails with your nail file. When finished, apply Aveda’s Cuticle Control to your cuticles. Let sit on for 5 minutes, then rinse off. Push back cuticles with an orange stick. 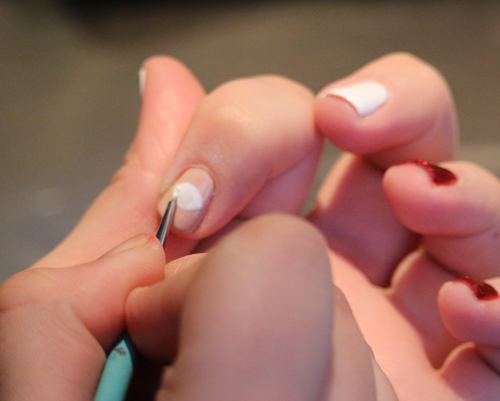 Step 2: Apply Aveda’s Beautifying Composition to cuticle area and massage into nail beds to add hydration. Buff nails with your yellow block buffer as this will allow for a smooth surface. 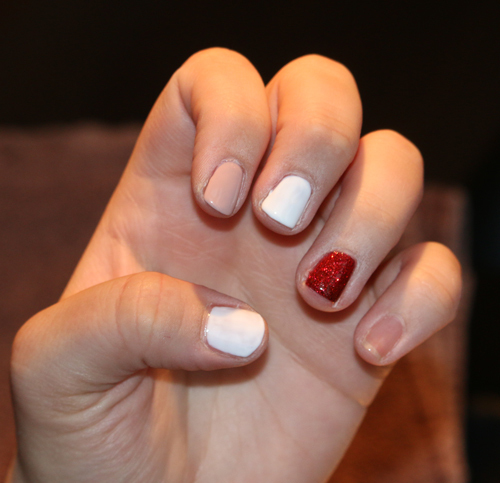 Step 5: Paint your nails any varying colors you’d like – Pinks and reds are great for the holiday. 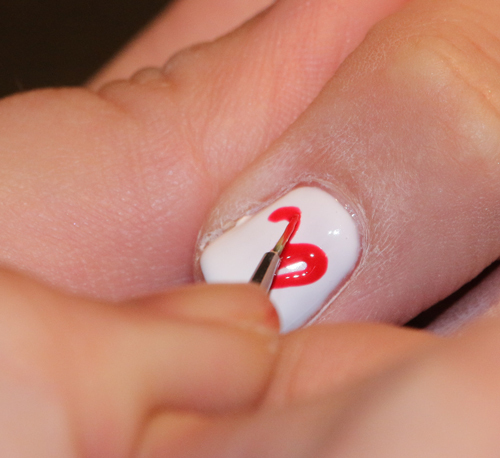 Step 6: On your pointer finger, paint an oval shape with a small art brush. The idea is for this to be unique and pop, so white is a great color choice. 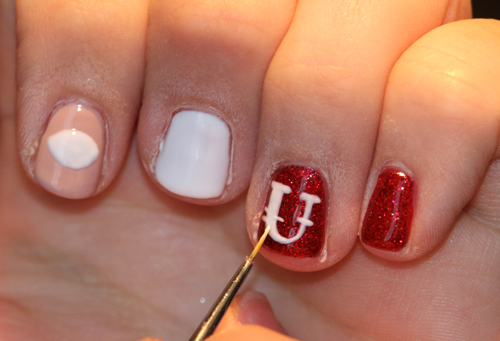 Step 7: While the outline of the eye is drying, start your “U”. I chose a sparkly red base. 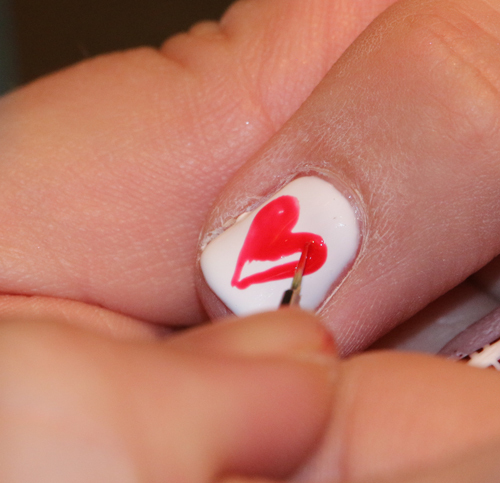 Step 8: Heart – Starting with a plain red paint, create the base of your heart. Create the outline by painting one side at a time, meeting in the middle when connecting the top and bottom; then fill in. 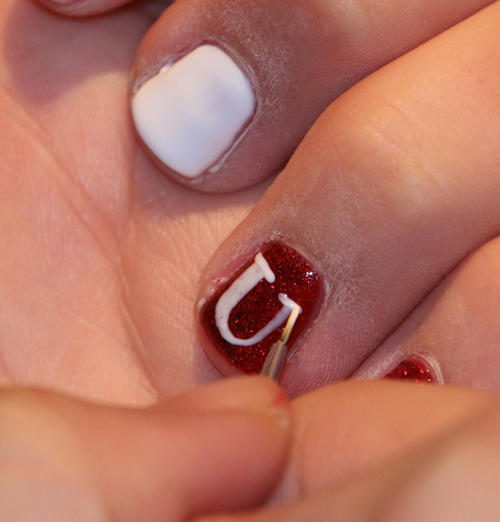 Layer in either a plain red paint or in a red glitter like I did to match my base for the other nails. Layer a few costs until you achieve your desired look. 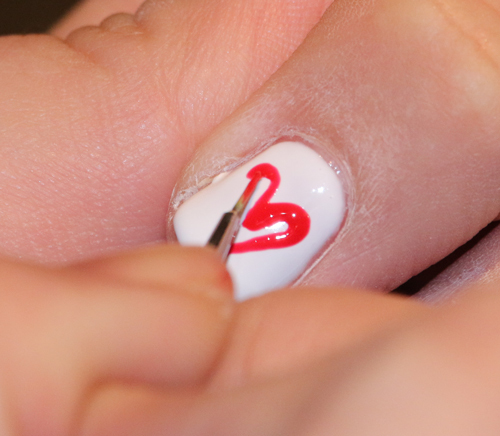 Step 9: Once you have your heart, add a little red sparkle if you’d like an extra pop. 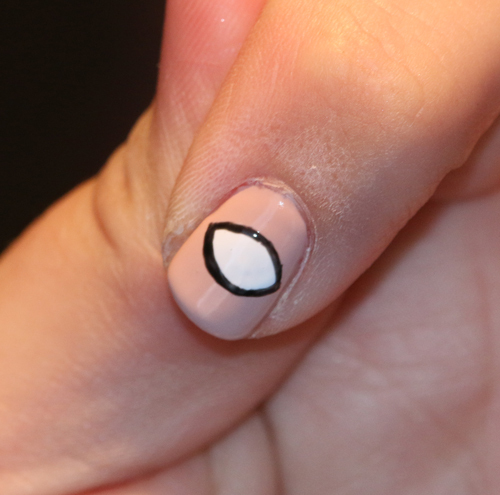 Step 10: Outline your white oval with a line black line, then start to draw lashes around the upper and lower lids. Step 11: Begin to draw the pupil of your “Eye Love You”. I picked a color that would pop, then added a small black dot in the center. This blog was written by Neroli Salon & Spa Downtown Hair Designer, Lisa. To schedule a hair service with Lisa, call 414.227.2888.